Tagged under Nobuhiro Watsuki, Xebec, Series. Kazuki Mutou is given a life after losing his old one by trying to save a girl in the old ghost factory from a homunculus, a human that eats humans. The girl, Tokiko, saved his life by replacing his heart with a kakugane. As Kazuki learns more of this different world called alchemy and of how to use his busou renkin, he fights together with Tokiko to destroy the homunculus. Well the trailer was really cool so I was really expecting a lot from the anime but it didn't live up to my expectation. The starting was quite interesting but as the story developed it got kinda boring. One night, Kazuki Muto jumps in to try to save what he thinks is a girl in distress from a monster and instead gets impaled through the heart. The girl, Tokiko, is actually an alchemic warrior with a Busou Renkin, name of Valkerie Skirt, with the mission to exterminate Homunculi. She implants the only other successful work of alchemy than the Homunculus, the Kakugane, to take the place of Kazuki's heart. The Kakugane resonates with his fighting spirit and forms a Busou Renkin (in his case a spear) so he can fight the Homunculus monsters who prey on humans. 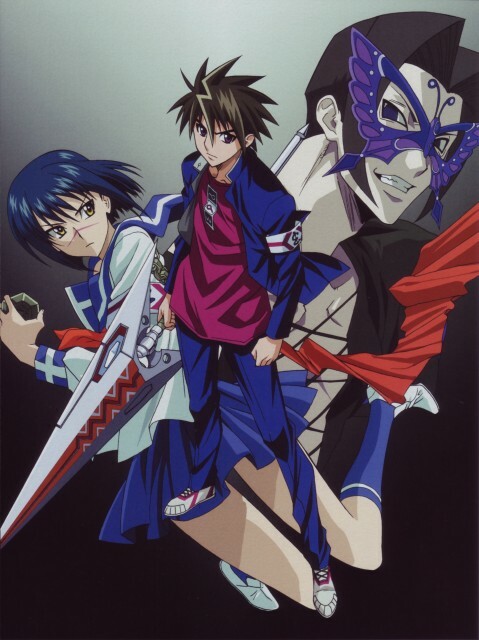 Kazuki joins with Tokiko to battle with the Homunculi and protect his friends and his sister Mahiro. Interesting story and unique characters. I absolutely love everything about this anime, the humors are great and I just love how heroic Kazuki is.